NEW! The Bollegraaf RoBB – The world’s first automated QC sorter. Bollegraaf balers lead the industry in speed and productivity. The Bollegraaf baler’s single ram design uses a fraction (sometimes as small as a third) of the power used by a traditional two ram baler and operates automatically without a dedicated operator. Bollegraaf balers provide flexibility–the baler can be instantly reset to switch between a variety of materials, including fiber, cardboard, plastic containers, steel containers, and aluminum containers. Bollegraaf is the choice of industry leaders looking for a cost efficient and energy efficient baler that delivers unsurpassed productivity. 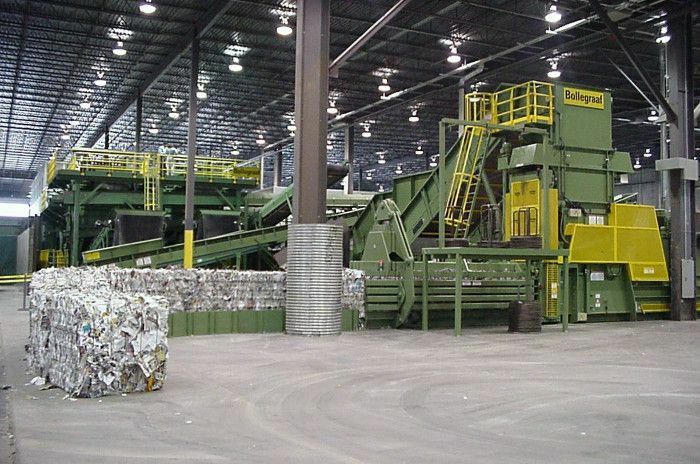 Let’s say a recycler grows its volume of incoming recyclable material to 5,000 tons per month. The material comes in “clean” and only needs baling. 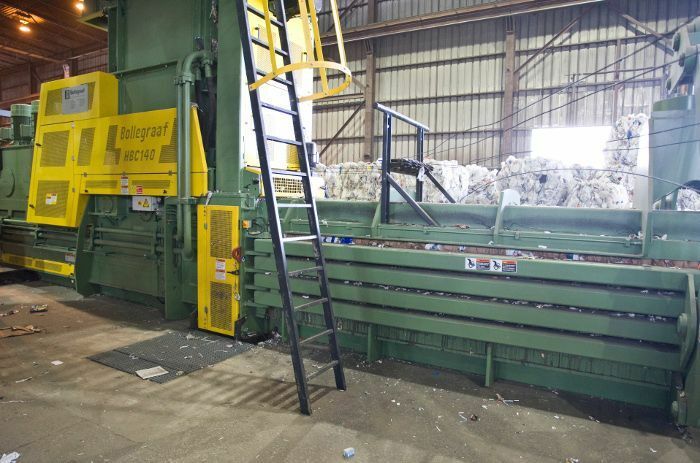 To bale 5,000 tons in a month, the recycler has to run its baler for two 10-hour shifts each day. When it breaks, the recycler has to repair it and then try to keep up with the incoming material. The recycler buys a Bollegraaf baler from VAN DYK Recycling Solutions that averages a production speed of more than 35 tph. 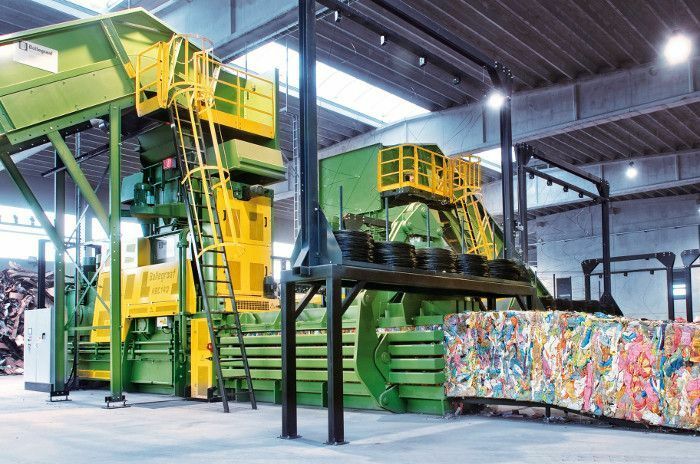 It does not need an operator and, because of its unique features, requires far less maintenance than the recycler’s previous baler. What’s more, it runs on half the electricity cost. The recycler can bale all 5,000 tons in one shift per day with no overtime hours. It does not need a baler operator, nor does it need to run a second shift. Quality end product due to the no-shear pre-press flap feature. The main benefit of Bollegraaf’s pre-press flap is that the baler does not shear. No shearing means less energy used, lower maintenance costs, faster baling cycles, denser and more even bales, less wear on floor and frame, no hydraulic shock caused by shearing, and no rebaling necessary. High Speeds: The baler runs at a higher speed since material can be loaded on top of the flap during the compression cycle. This enables faster production. On some grades, Bollegraaf balers run 2 and 3 times as fast as other balers. Better Quality Output: The pre-press flap helps the material be homogenized into evenly distributed bales and allows you to stack bales higher, etc. Ability to Bale Difficult Grades: The pre-press flap enables baling of grades that are difficult to shear, such as phone books and magazines. Benefits: No constant metal to metal rubbing. The wheels run on manganese strips, and wheels and strips can easily be replaced instead of relining the baler floor. This significantly reduces maintenance and relining costs. Benefits: Enables you to control your wire costs with 5 wires for every bale, every time. Compare this with a manual “strapper” on a two ram, where an operator can add 5 or 6 or 7 wires to each bale. The result is reduced downtime, because if one wire is missed by Bollegraaf’s wire tier, you can still bale with 4 wires. When a two ram tier is down, the baler is down. 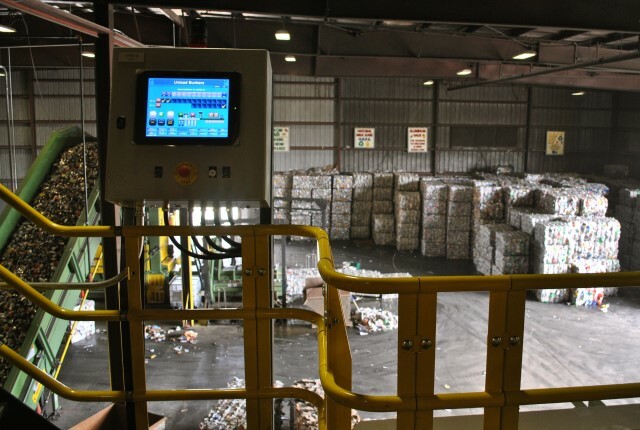 The Bollegraaf Recycling Solutions Visual SCADA is a user-friendly visual SCADA interface. It has four fully integrated layers and can be scaled to the appropriate plant size. 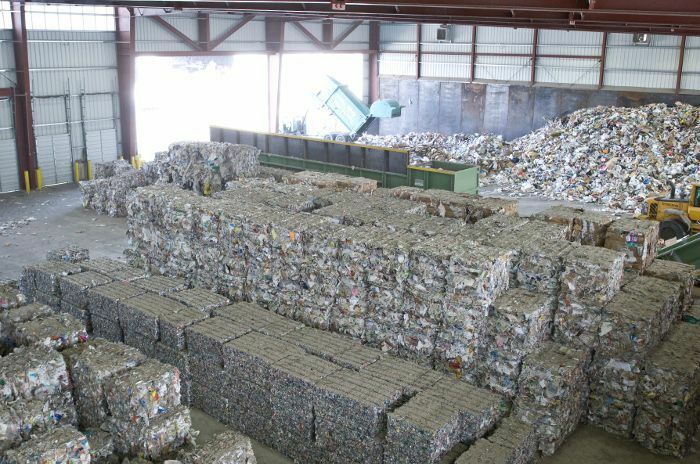 Each layer can be purchased separately, so small systems do not need to buy an expensive control system with more features than needed, and large recycling MRFs can have all the necessary control, service, data collection, and management information they require. You only pay for what you need! Introducing the Bollegraaf RoBB, the world’s first automated QC sorter. This fully automated robot is able to pick multiple kinds of plastics, such as PET, PE and PS, as well as paper and OCC. It delivers high levels of purity during the final stages of quality control, resulting in a significantly higher value of output. 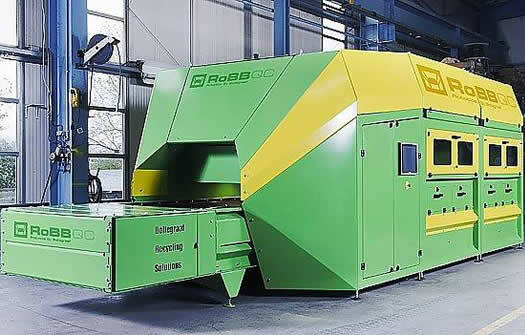 RoBB’s new, laser-guided system detects the height of waste products. 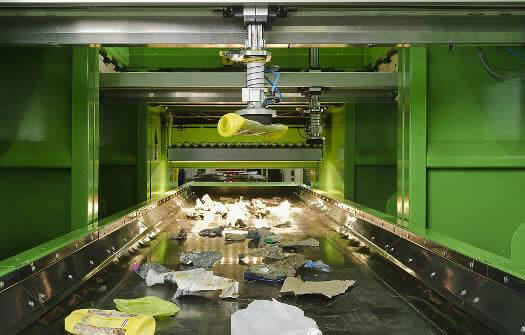 Together, the NIR (near-infrared) and cameras enable precision sorting of recyclables by both material recognition and 3D detection. Achieve higher rates of purity and better separation quality than ever before.